At Green Apple Dental Clinic, we love welcoming new patients to our beautifully-designed, modern practice. Our friendly and professional team are always on-hand to assist you in any way required and we pride ourselves on ensuring you have a positive experience in our care. 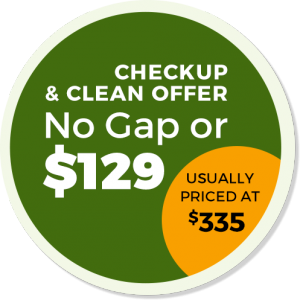 Depending on your dental insurance plan you may be eligible for a no gap check and clean! We are preferred providers for Medibank Private, HCF and smile.com.au which means you are entitled to great dental benefits. Our friendly team are always pleased to help you understand your eligibility. Call us on (03) 9077 3807 today. Read the full terms and conditions on our website.